Taken under the bridge named Passerelle Simone de Beauvoir, is a view of the River Seine as a boat passes by. 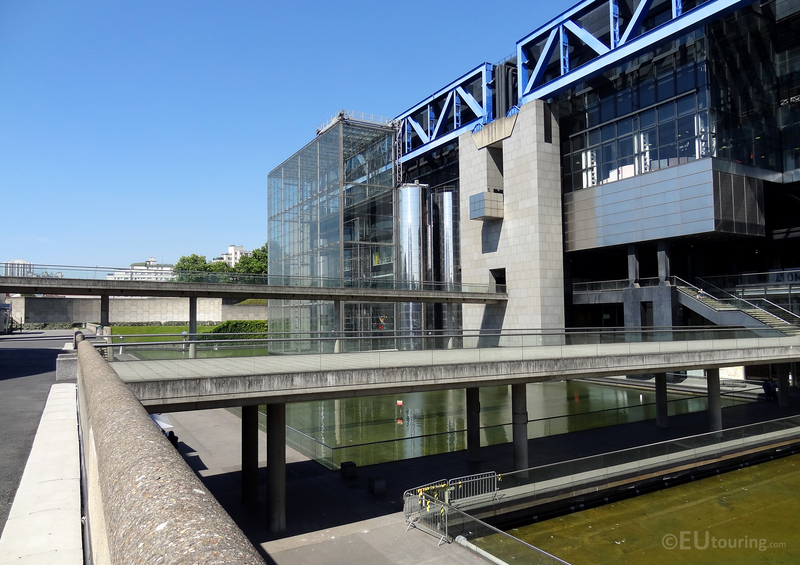 Cite des Sciences et de l’Industrie has incredible structural architecture to admire, covering all facades even as you enter the museum. 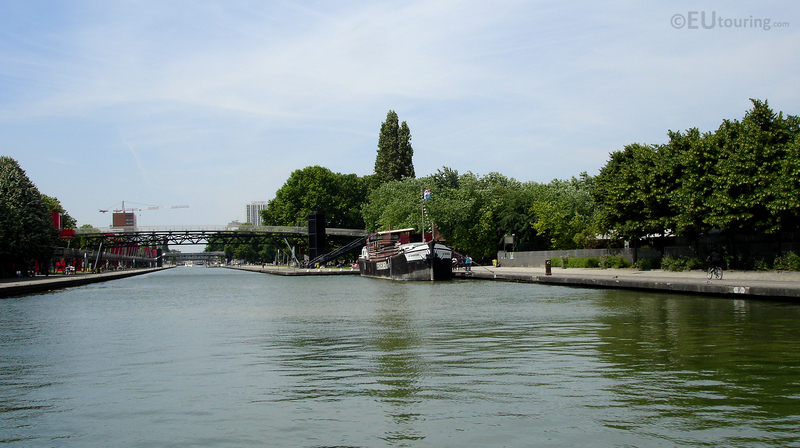 Taken while looking down the Canal de l’Ourcq you can see the many bridges which cross the over the clear water and also a boat at the side which is in fact the Penichecinema – a floating restaurant and cinema. In this photo you can see one of the Les Car Rouges tour buses going around Paris, this one going over the Pont Alexandre III bridge with the famous Eiffel Tower in the background. While walking along the oldest bridge in Paris, the Pont Neuf we took this photo showing the La Conciergerie to the right of the River Seine, with the Pont au Change bridge leading directly over towards the building. This photo of La Conciergerie is taken from the right bank of the River Seine which flows through Paris and around the Ile de la Cite island where this building stands, famous for being a royal palace that was turned into a prison to hold Marie Antoinette.